From boho fringes to cropped bobs, CPH Fashion Week Spring 2019 had it all! We guide you through 4 inspirational looks straight from the Danish fashion Mekka in Copenhagen and share some tips on how to achieve these looks in your salon. Copenhagen Fashion Week Spring 2019 was all about looking effortlessly chic! And Scandinavian bloggers and influencers did just that as they looked the part with their centre-parted pulled back loose buns, grasping the nape of their necks. A subtle way to look chic without stealing attention from the outfit. Tip: To achieve this effortless look, apply Natural Medium Hold Hair Wax to add texture to the hair before pulling it back into a loose low bun, using your favourite accessory. Finish the look with a dash of Medium Hold Hair Spray for a lasting hold that allows the style to move while maintaining the look. The boho-inspired fringe graced the streets of CPH fashion week this year – what a stylish mess! Medium length bangs are a great way of attracting attention to the eyes with its long cut while at the same time looking fashion-forward and cool. Tip: To achieve the boho-inspired fringe, apply a few sprays of the Dark Tone Dry Shampoo or the Volumizing Dry Shampoo depending on the colour of the hair to add volume and achieve a beautiful messy look. Control any flyaways with Medium Hold Hair Wax. 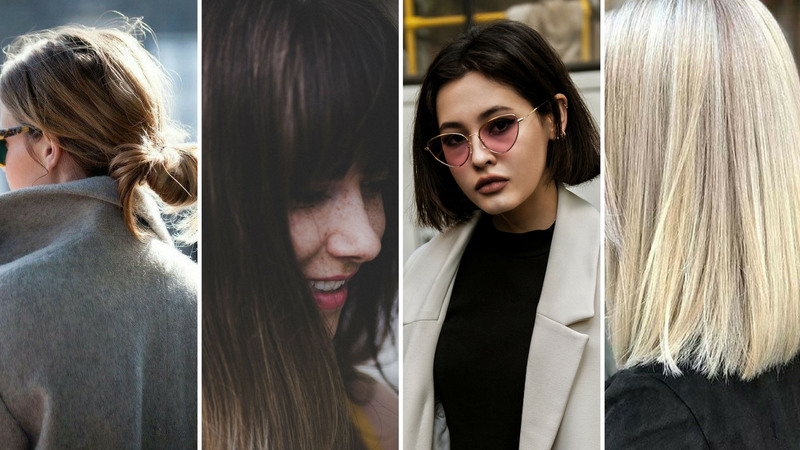 The cropped bob was rocked by confident boss ladies at fashion week! Cropped bob style is quick and easy, and for a small amount of effort, your client can look great in straight, wavy or curly styles. At fashion week this style was worn in an effortless way that showed off the natural shape and texture of the hair. Tip: To achieve the cropped bob, maintenance is key! There is no hiding with this bold cut, therefore, the secret lies in prepping. Add a few drops of Moroccan Argan Oil to wet hair, and work from scalp to ends to contain frizz and add shine. Last but not least: Our personal favourite look from CPH fashion week: The sleek lob! The popular lob hairstyle is great for achieving an elegant street look! It is the perfect balance between short and long hair, and moreover, it is flattering for most hair types and face shapes. Tip: To achieve this sleek lob hairstyle, prep the hair by applying a fine mist of Heat and Sun Protector over damp or dry hair before using hot tools. For this style, straighten the hair when dry and finish off the look with Ultra Shine Finisher for a sleek and shiny look. Go to Vogue.com for more inspiring photos from Copenhagen Fashion Week Spring 2019! We promise you won’t regret it.